The programme was developed by the European Football for Development Network (EFDN) and the UEFA Foundation for Children. The Shakhtar Social non-profit foundation won a grant and became a member of Scoring for Health along with Chelsea, Feyenoord, Brugge, Legia, Brentford and Hapoel Tel Aviv. The programme aims to promote a healthy lifestyle, proper nutrition, and activity among children aged 7 to 13 and their parents. 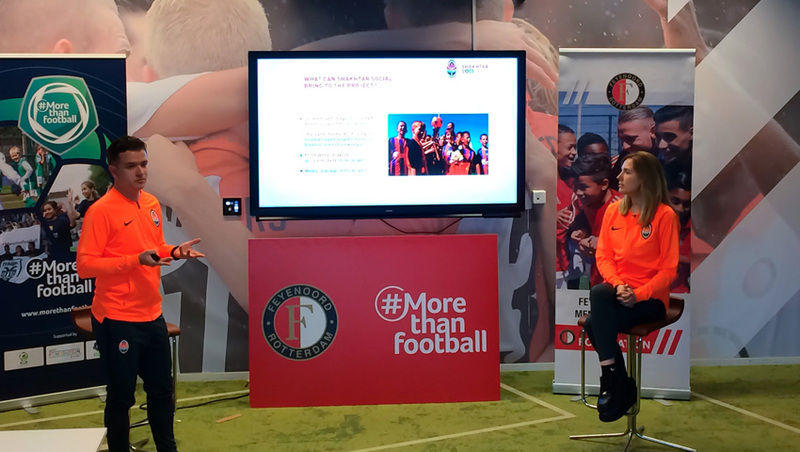 The first international workshop took place at the Stadion Feyenoord in Rotterdam. The participants got acquainted with the project, discussed its implementation, made presentations of their social programmes, and shared their knowledge and experience. The Scoring for Health programme is designed for 2.5 years. The next workshop is expected to take place at Stamford Bridge in London.